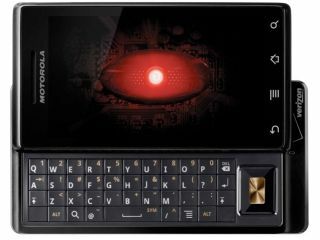 T-Mobile has confirmed it won't be ranging the Motorola Milestone, also known as the Droid, in the UK after early tests. Nicola Shenton, head of handset and device marketing for T-Mobile UK, said the network tested the device six months ago but decided that it wasn't right for the UK market. She said that the device was a "great phone, and had a lot to offer" and the software, which has been widely praised in early reviews, was even back then decent. However, other sources close to T-Mobile tell us that the reason was the phone doesn't pack the aesthetics necessary for the UK, believing that the phone was more suited for the US market. The same source also expressed surprise that the phone was picked up in Italy and Germany, due again to the 'unconventional' look of the device for the European market, and the lower market acceptance Motorola has in Europe compared to its 'trusted brand' status in the US. O2 has also confirmed to TechRadar it won't be ranging the device in the UK, after the same network plans to do so in the aforementioned European regions. So that pretty much leaves Orange and Vodafone to take a cheeky punt on the seemingly unloved handset - given 3's penchant for phones at the lower end of the scale. We'll keep a watch on this one, but we'd be disappointed that the UK wasn't deemed worthy of a phone that actually caused Motorola's stock to rise eight per cent based on rumours of its performance.